Tire dealers and members of the media got together in Colorado Springs, Colo for the unveiling of Goodyear’s new all-terrain tire the Wrangler All-Terrain Adventure with Kevlar. 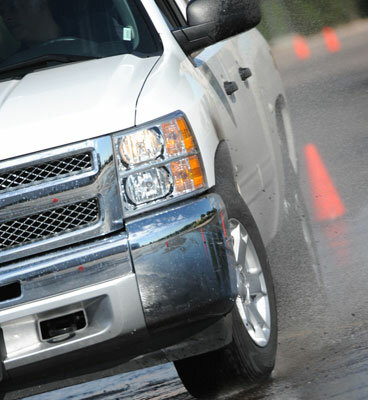 Goodyear had many activities lined up so that we could test the tires in different driving conditions. We were able to run the tires on a variety of vehicles on an on-road wet and dry coarse as well as off-road and everyday highway driving. The tires were surprisingly quiet and felt smooth while driving on the city streets and highway. 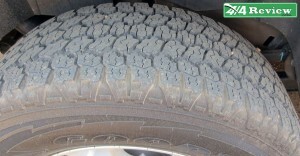 The tires were so quiet in fact there was no noticeable difference between the sound of the Goodyear Wrangler All-Terrains and your every day SUV tire. Taking the Wrangler All-Terrain Adventure with Dupont Kevlar onto the wet track and off-road was a great chance to push these tires and see how well they could handle the adventure! 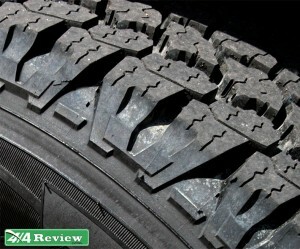 The tires handled well off-road as well as on the wet road coarse. 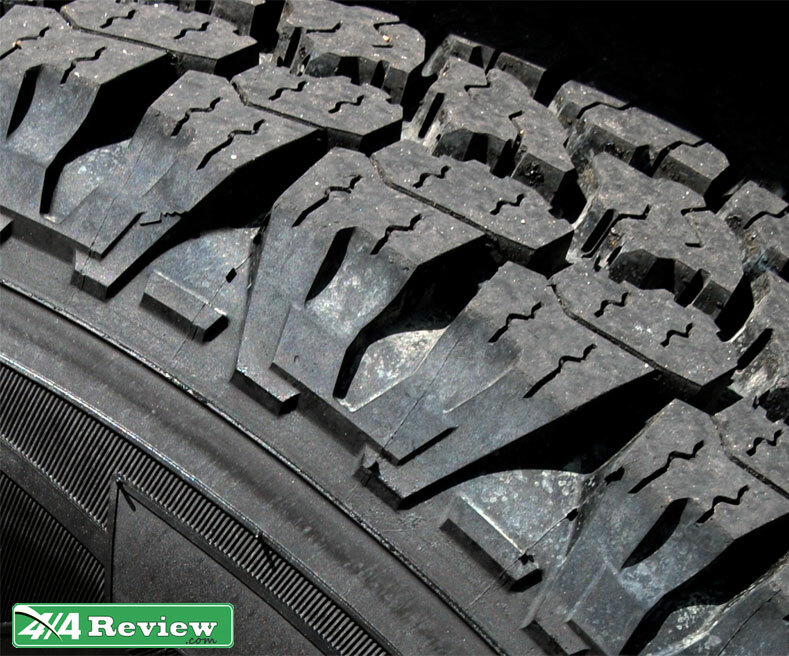 The Wrangler All-Terrain tire had noticeably more grip than the competitors all-terrain tire we were comparing them against. The new Wrangler All-Terrain Adventure from Goodyear is a great fit if you do the majority of your driving on the road, want great wet and winter driving performance but also like to venture off into the dirt from time to time. With a 60,000 mile warranty, Dupont Kevlar and Durawall technology in the sidewalls the Wrangler All-Terrain tire should be on your list of tires to look into when the time comes to replace your SUV or truck tires. 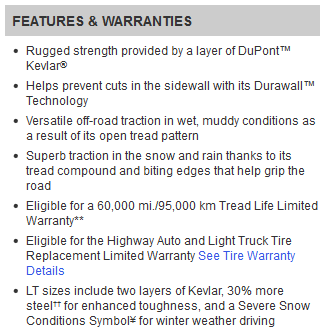 The tread of the Goodyear Wrangler All-Terrain Adventure with Kevlar features many sharp edges for gripping the dirt and snow and the siping is one of the reasons it does so well in the wet weather. 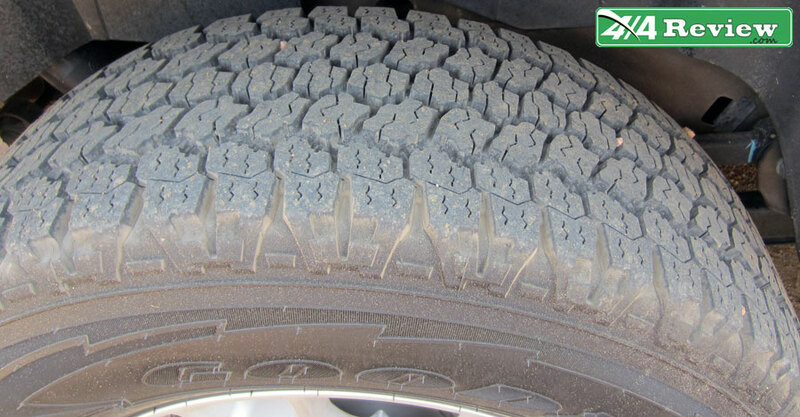 You will also notice the edges between the tread to help prevent the mud from packing and allowing the tire to continually clean out the area between the tread so that the tires can maintain traction. More information is available on the Goodyear site.